The First Bra in History of Herminie Cadolle 1898. It is to a woman – and even a feminist of the first hour – that one owes the invention of the bra. 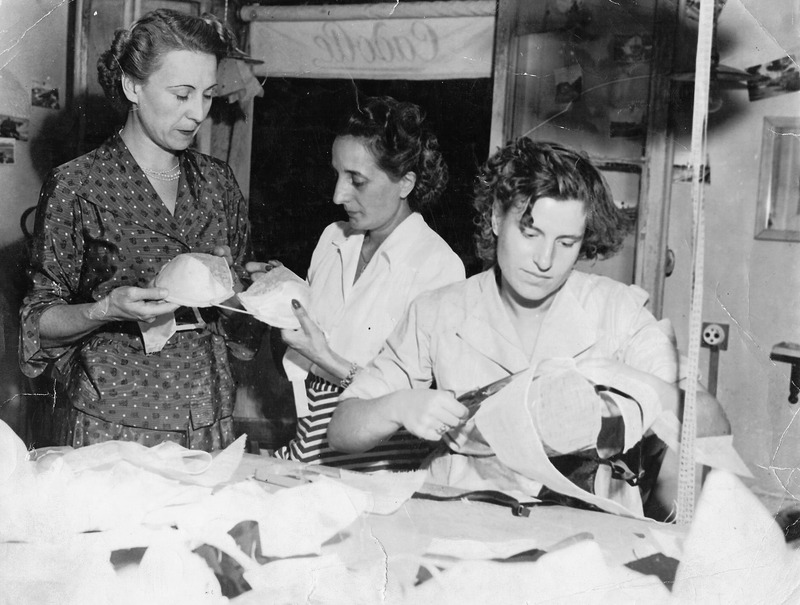 The hand-crafted bra Herminie made is called the first bra in the world. Before that point in time, the bust was supported and harshly pressed against the body by a corset. piece supporting only the breasts. It was the same year as the Eiffel Tower was built. 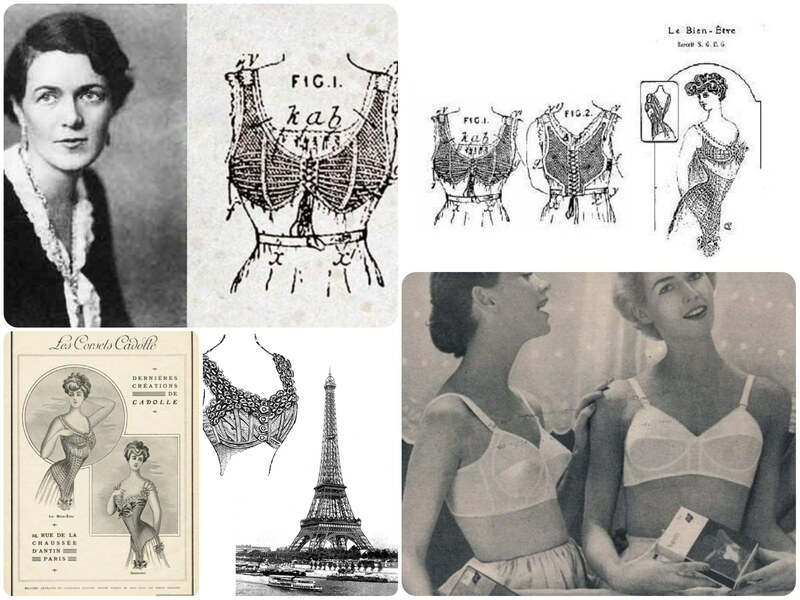 Herminie Cadolle (1845–1926) was the French inventor of the modern bra and founder of the Cadolle lingerie house. Cadolle was a close friend of the French insurrectionist Louise Michel, and it was this connection that led her to leave for the safety of Buenos Aires. Here, in 1887, Herminie opened a shop selling made-to-measure underwear. Returning to Paris in 1889, she opened a similar lingerie workshop on the street Chaussée d’Antin, where she invented a two-piece undergarment called le bien-être (the wellbeing). The lower part was a corset for the waist and the upper supported the breasts by means of shoulder straps. She exhibited at the Great Exposition of 1900 and by 1905 the upper half was being sold separately as a soutien-gorge (literally, “support for the throat”, but gorge in old French meant breast), the name by which bras are still known in France. In 1920 she opened shop on 14 rue Cambon. Herminie became a fitter of bras to queens, princesses, dancers, and actresses. Mata Hari was among her customers. She was also the first to use cloth incorporating rubber (elastic) thread.